Spinach Pineapple Green Smoothie recipe – The best Green Smoothie! For these meals do you put the meat in the freezer bags cooked or raw? do you always thaw out completely before putting in crock pot? 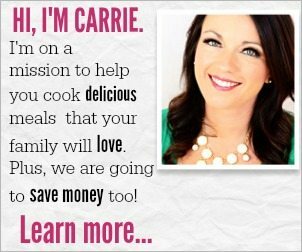 Amy – You can put these recipes in the crock pot frozen. You will just want to cook them longer if they are frozen verses if they are thawed. Thank you!